Congratulations DismalScientist - Winner of Sept 2016 Imaging/Sketching contest! 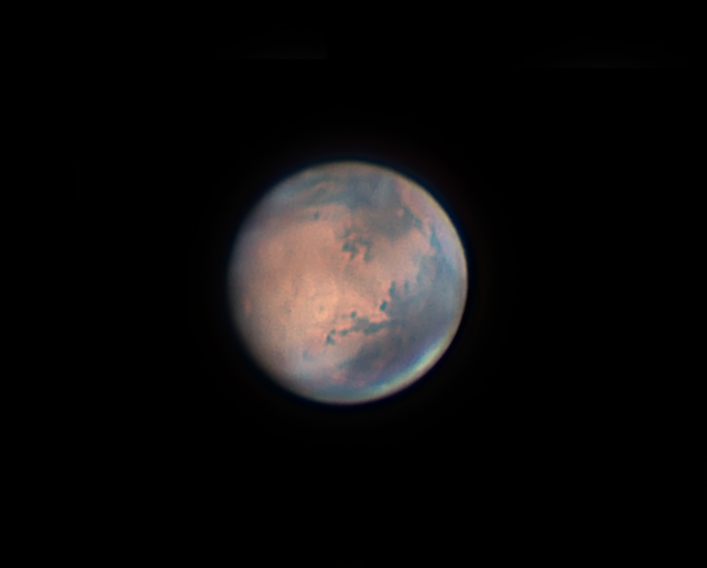 Please join me in congratulating DismalScientist for winning the Sept 2016 site-wide Imaging/Sketching Contest with his superb Mars image! Very nice, that is an incredibly detailed image. Also my sincere and well-deserved compliments. Awesome image! Out standing Image. It is so good I can almost canals . Good Lord, I thought you were saying this is a sketch! Fantastic image, almost Hubble quality! Edited by Rick Woods, 26 October 2016 - 02:29 PM. Like out of a science-fiction movie. So real it's unreal. Bravo! Congrats, well deserved . Beautiful image. I think I'll put the image on a screen on the mantelpiece and aim my ED80 at it. With 24 continuous days of rain so far, this may be about the only planetary observation I can do this year. Awesome image - it's amazing that amateurs are rivalling what professional astronomers were able to do as little as 20 years ago, and with much smaller instruments.